If you are near Rochester, NY come ride at Cycledelic this weekend! Are you anywhere near Rochester, NY? Then you wont want to miss this event! 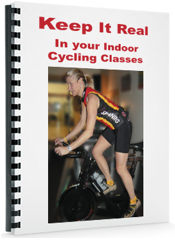 Do you know anyone who enjoys indoor cycling or road cycling who is anywhere near Rochester? Then you must be sure to tell them about this! This weekend I am traveling to the brand new Cycling Fusion headquarters in Pittsburgh to help them with the grand opening of their new facility and the official launch of the digital Cycling Fusion library. Friday night is the official launch, with rides led by Gene Nacey, Tom Scotto and me. These classes are a small fee if you come in person and will be available to watch live online for free. Thursday evening I am teaching 3 classes (two are 60-min, one is 45 min) to be videoed for the digital library. Epic Aspen follow up – George Hincapie waved to us!! This week is the USA Pro Cycling Challenge in Colorado, the inaugural weeklong stage race through the mountains and towns of Colorado. This is VERY exciting to say the least! I’ll be going to three stages, Stages 2, 3, and 4 one Wed, Thur and Fri and will report back to you. But the biggest news for now…. Allen Jones of Epic Rides was here in Colorado this past week to film two new virtual rides. The first one was Epic Mount Evans, which goes to the highest paved road in the US. I had no desire to be in that video – pedaling at anything over 12,000 feet is not my own idea of fun, and Mt Evans goes over 14,000 feet (4,270m)! But it will be a beautiful and challenging virtual ride, that’s for sure. Training for the Epic Aspen virtual ride! Epic Planet is coming to Colorado! Last year, Allen of Epic Planet and I were planning on filming one of his virtual rides here in Colorado, but we were unable to make the timing work. So I guess you can say this has been a full year of planning! Being that Colorado is a cycling mecca, and the scenery is so incredibly beautiful, I have a very strong feeling that our Epic Aspen ride that we will be filming will be the BEST of their entire library!